Imagine you’re at the airport and you meet that guy from the company you really want to do business with. You have until you get to the end of the check-in queue to explain to him why he should work with your company. There are many things you want to tell him but before you know it, you’ve run out of time and your chance has gone. This is exactly the kind of time when you need an elevator pitch. The idea of an elevator pitch is to quickly explain what you and your company do, and what makes it appealing, in no more than the time it takes to take an elevator ride. Some believe an elevator pitch, also known as an elevator speech, should be no more than two minutes. Ideally, though, you want it to be between 30 seconds and one minute, because that’s generally how long you’ve got to grab someone’s attention before they lose focus. Of course, elevator pitches aren’t really for elevators. The ideal one is something that is ready to use at any time. An elevator pitch can be used at job interviews, job fairs, networking events, or presenting to potential investors. Also, do not forget your online elevator pitch. This could be a paragraph on your website or a footer at the bottom of your emails. Either way, it serves the same purpose as your main elevator pitch. It's no secret that the best business ideas are based on solving problems that people experience. From cars to coffee machines, all the best business ideas focus on a real problem that customers face by providing a product or service that is needed. Hopefully, you will already know what this key selling point is for your business – but if you don’t, now is the time to figure it out. When you develop your elevator pitch, you should set out the problem before the solution. For example, don’t talk about your new range of quick-dry swimming costumes, without first talking about how annoying it is to have to cart around damp kit all day after your morning dip in the pool. A certain well-known radio station has a life-size cardboard cut-out of a 45-year-old woman carrying a shopping bag opposite the presenter’s microphone in their studio. Why have they chosen this somewhat bizarre means of decoration? It’s to remind the presenters who they’re speaking to. Think about who you are pitching your business to and make sure you understand the needs of this audience. If you are pitching to customers, this will help them engage with what you are saying. When pitching to investors, make sure your elevator pitch mentions the specific market segment that your product is aimed at, the potential size of this market and their spending habits. It is very rare for a business to have no competition. It’s important to remember, though, that your competition may not be what you think it is. One online video-streaming company has said that they see their main competition not as other websites, TV companies or even movie theaters, but as sleep. They realised that they needed to make it easier for people to watch “just one more episode” before heading off to bed. So, think innovatively: who (or what) is your competition? Are you entering a marketplace crowded by other suppliers but with a superior product? If you are, what makes yours better? Does your product replace an outdated technology, like music streaming replaced CDs? Whatever you do, and with whomever you compete, your elevator pitch needs to make clear what it is that sets your product apart. Potential investors are not just buying into your business idea – they are buying into you and your business. To help them do that, your elevator pitch needs to give them confidence that you can deliver on what you say. Information about your own experience or background. If you’ve spent 20 years working in the industry already, talk about that. Or if you’ve just graduated with a top degree from a major university in your industry, mention that. Talk up your team. Nobody can run a successful business on their own, and investors want to see that you understand your own strengths and weaknesses, and can bring in others to do the things you can’t. In your pitch, include a line about the team members you already have on board, and be upfront about the gaps you are still looking to fill. Don’t shy away from your finances. It's important, also, to talk about the financial side of the business and any milestones you have already achieved. How will you compete on price while ensuring that you remain in business? Who is looking after your financials? Have you already achieved product certification, or won awards at trade shows? All of these things will help others take your elevator pitch seriously. Don’t talk for too long – One of the most common questions people ask is how long an elevator pitch should be. The absolute maximum is two minutes, but if you can get it down to between 30 and 60 seconds, so much the better. Don’t rush – Although you might have a lot of information to get through, do not hurry through your elevator pitch or present the information in a disorganised way. Try to be concise and clear. Always tell the truth – Obviously, you want to present your business in the best possible light, but lying isn’t the way to achieve that. Make sure that any figures or statistics you quote are as accurate as you can make them, and if you don’t know the answer to a question, be honest and say so. Be prepared and confident – Try to be self-assured when you present your elevator pitch. Don't mumble or stutter. The best way to feel confident is to prepare and practice. Following the steps outlined above to ensure that your elevator pitch contains all the vital information is a good place to start. However, knowing what to include is only the first step; you also need to practice your delivery. Write out your elevator pitch as though you were preparing a script. Then read it back to yourself out loud. This helps to make sure that you include everything you need, and that it actually makes sense. It;s also an opportunity to time your elevator pitch, aiming for 30–60 seconds. Once you have worked out what you’re going to say and checked it for length, it’s time to practice. The best way to do this is to recite your pitch in front of the mirror. Not only will this improve your confidence, but it will also give you a feel for how the length of your pitch relates to the time of an elevator journey. Of course, these are only examples. Your elevator pitch should be tailored and personal to you. Use these examples as a starting point, perhaps selecting some ideas to incorporate into your own. Creating a distinctive and incisive elevator pitch is as much an art as it is a science. 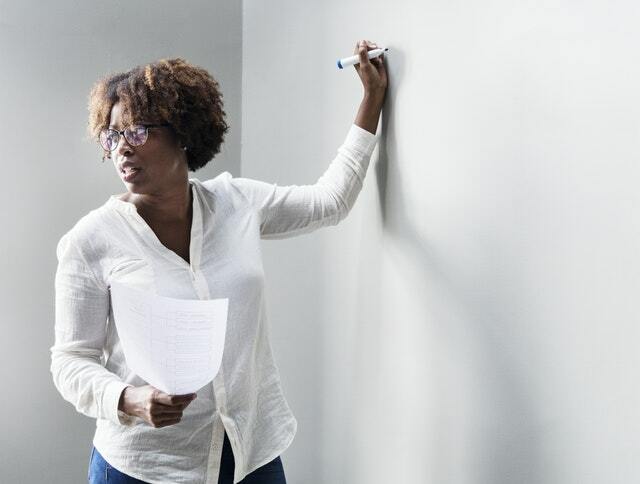 Following the rules we have outlined here will give you a good chance of success, but even the best elevator pitch will fail more often than it succeeds. That's the nature of business, as every entrepreneur will discover. Keeping your pitch concise and to the point. Always defining the problem, and the solution. Explaining what it is that makes you better than your competitors. Showing that you have a reliable and sustainable business, by talking about your finances and the milestones you have achieved. All successful entrepreneurs, however, have one thing in common: determination. 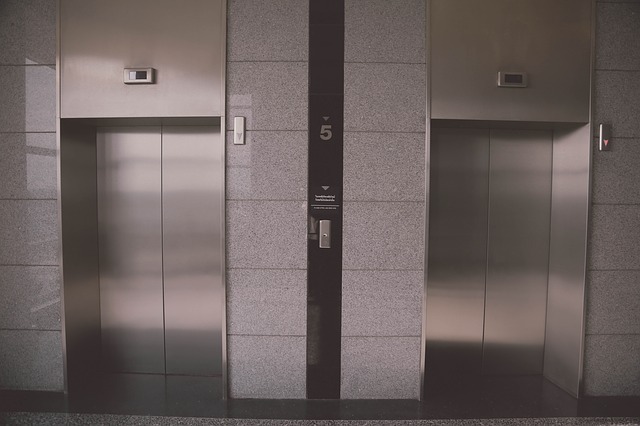 You may have to use your elevator pitch fifty times to get one new client. Practicing and honing the content, style and presentation of your pitch will increase your hit rate. There is no substitute, though, for sheer hard work, perseverance and putting in the hours.